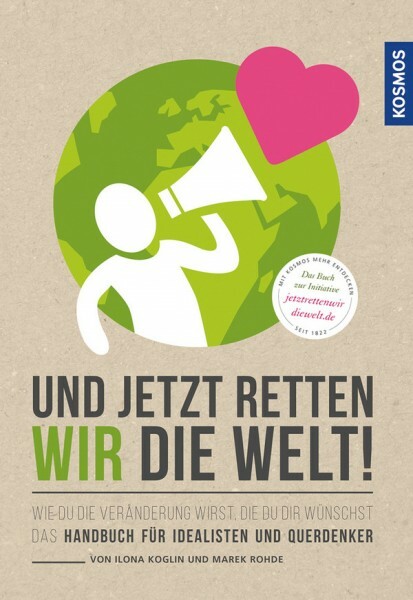 Product information "Und jetzt retten wir die Welt"
Sustainability is the mega trend of our times. More and more people – especially the younger generation – consider keeping one’s ecological footprint as small as possible to be in fashion and indispensable for a positive outlook on life. How sustainability can be integrated into daily life in a fun way: Ilona Koglin and Marek Rohde have fascinating tips and many new ideas for doing so – starting with nutrition and living and on to travels in the great, wide world. Their beautifully designed, inspiring handbook answers questions, encourages and motivates you to join in.